The 169-room boutique hotel will be centered by a large public plaza with views through a glass bottom rooftop pool suspended six stories above. 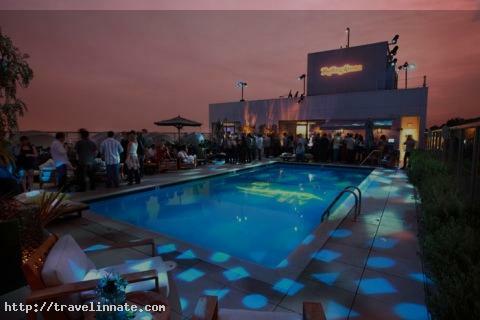 Boasting two multi-level performance dining venues and vibrant rooftop pool deck. The Chamberlain West Hollywood offers a unique collection of Los Angeles event spaces and venues for events for up to 80 guests. The hotel's sophisticated décor, chic design touches and elegant yet flexible spaces are ideal for all types of meetings. At the Andaz West Hollywood, you'll enjoy a friendly and welcoming atmosphere, comfortable accommodations, and a unique local experience of art displays inspired by our renegade rock-and-roll past.